Completed in 1931, the Kennedy-Warren has been characterized as the finest Art Deco apartment building in Washington, DC. Its first section was completed in 1931. In 1935 another section of 200 units was added but this still left the original design only two-thirds complete. In 1987, Joseph Younger's original drawings were discovered and a decade later the owner moved forward with plans to complete the building. The building was essentially completed according to Younger's original design. 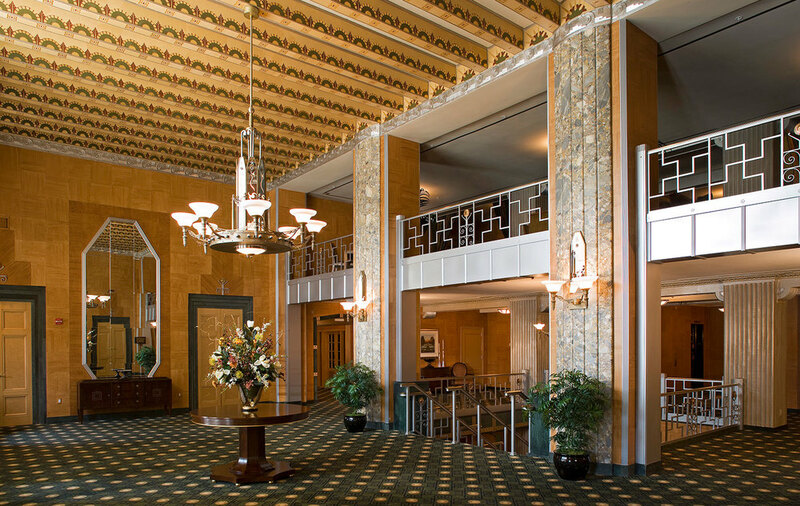 Also included in the project, the existing lobby and other public areas were restored to their former "Aztec-Deco" splendor.